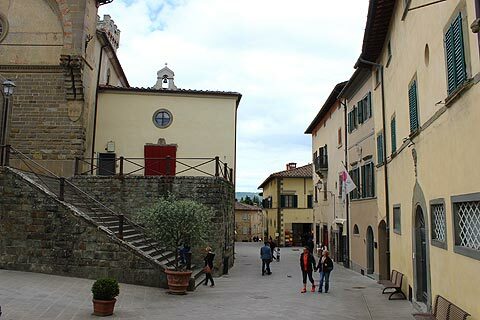 The town of Radda in Chianti is to the east of Castellina in Chianti so a short distance away from the Strada Chiantigiana, the main route followed by visitors to Chianti. 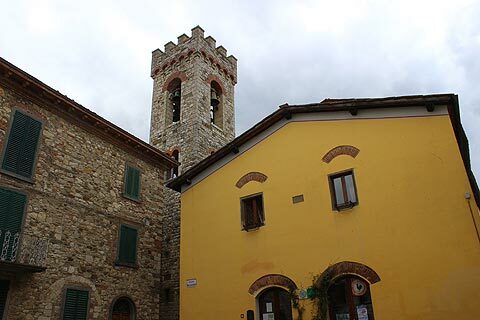 We do recommend you find the time for the detour: firstly because it is a chance to explore the more hilly terrain of the eastern Chianti, and secondly because the town itself is enjoyable to explore and has various sights of interest. 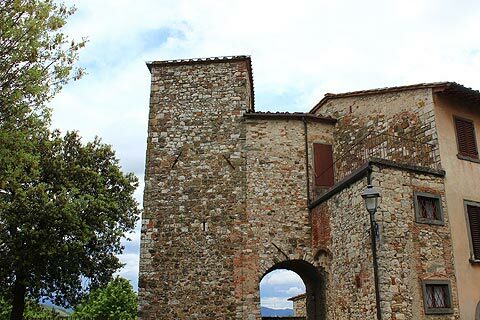 As you approach Radda in Chianti you can appreciate its position on a hill and also see that a significant part of the town's original defensive walls remain intact. Perhaps because it is slightly away from the principal tourist route we were able to park in Radda in Chianti without difficulty and without paying: this is quite an achievement in Tuscany! Within the town itself you can see that there are a series of narrow streets inside the walls that all lead quite quickly to the main central square. 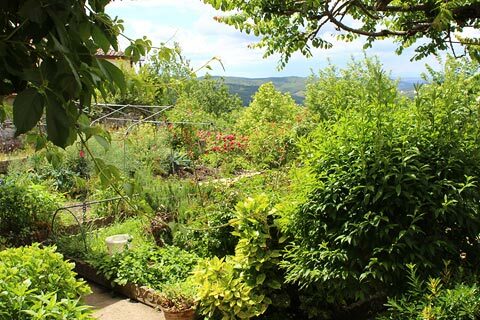 Your visit will explore this central piazza and also the edges of the town from where you have views across the surrounding wooded hills. 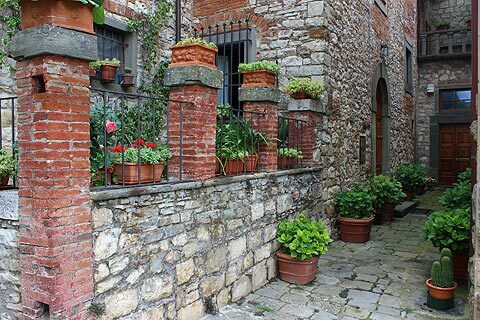 Following the alleys around central Radda in Chianti you will also discover several interesting houses and old stone buildings, some picturesque small gardens and one of the original stone arches that once allowed access to the town through the defensive walls. The principal monument here is the Church of San Niccolo which is a small roman style church containing an important 15th century wooden crucifix. 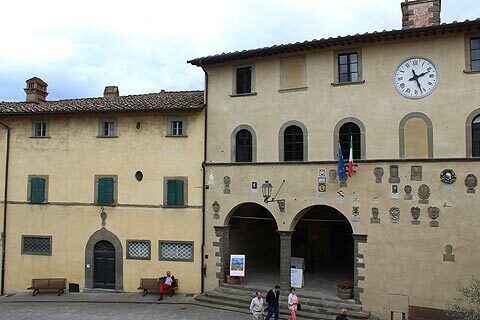 On the other side of the square is an arcaded government building with various historical ensigns still embedded in the facade: this is the Palazzo Pretori, the most important building in Raddi, and was built in the early 15th century. One unusual building close to here is the Ice House, built in the 19th century to ensure that snow during the winter could be conserved as ice to be used all year round. 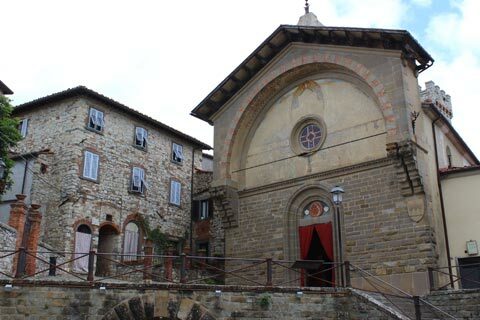 Another popular attraction in Radda in Chianti is the "Museum of Sacred Art of Chianti" which is set in a Franciscan convent and includes various religious artworks from across the centuries. Although Radda is quite a small town you will also find several restaurants and wine shops in the historic centre. 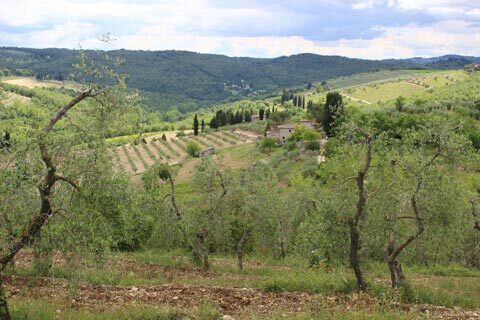 Of course, if you are here it is to enjoy the countryside, scenery and villages of the Chiani region: see our Chianti guide for details. From Radda in Chianti you are also just 15 kilometres from Siena, one of the loveliest medieval towns in Italy and an unmissable highlight of your Tuscany visit!